Whats not to love about a wedding venue that gives you a free keg of cider when you get married?! We love Woodthorpe Hall in Holmesfield in Sheffield. Its one of those beautiful big houses with stunning grounds. The cider press attached to the house is licensed for weddings and in the Spring it looks lovely with the flowering blooms surrounding it – so pretty. The grounds are so amazing and the owners are so helpful even going around lighting candles in the trees at night. A marquee can be erected for your reception and that gives you plenty of space to dance the night away! 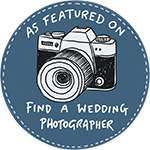 Helen & Paul are Sheffield wedding photographers. We love to photograph weddings at Woodthorpe Hall. We also photograph weddings in the Lake Distric, the Peak District and all over Yorkshire!